When you cultivate a group of writer friends and ask them to read and critique stories and manuscripts, an important obligation as a good writer friend is to reciprocate. So, when one writer friend who gave me excellent feedback on my work in progress asked me to do the same for hers, I jumped at the chance. I’d seen the first two chapters of her WIP in my last two workshops at Tinker Mountain and had been eager to read more. I was so eager, in fact, when I picked up the MS yesterday morning, I didn’t put it down all day–which is why Monday’s post is happening on Tuesday. But it’s great when something lives up to your expectations. When my friend’s book gets published–and it will–this will be my first experience with the evolution of someone’s work other than my own, and it’s a humbling experience. Humbling, in that I felt honored she asked me to read it, that she values my opinion. Here’s the thing. She doesn’t expect sycophantic raving about how good it is. (Trust me, though, it is that good.) She wants a writer’s eye and honest criticism, which she’ll get from me. Again, I got that from her, and I’ll return it in kind. And I’ll get a little thrill when I buy my copy, knowing I helped in some small way. So looking forward to that. And new topic. I’ve been working on the next set of stories for Spy Flash 2. 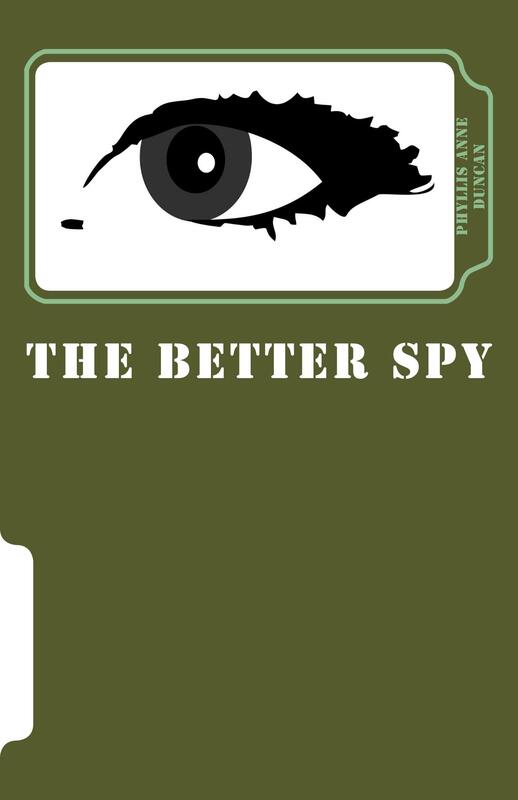 (In case you didn’t know it, last year I published a collection of my espionage short stories, Spy Flash. To read all about it, scroll to the top of the page, click on the Published Works tab, then click on Spy Flash from the drop-down list. You can click through to purchase it from Amazon.com, and, oh, by the way, if you buy the paperback, you can download the Kindle version for free. Commercial over.) One thing which has stood out for me is the way odd words unconsciously work their way into a story. One story had an inordinate use of the word “just” and not the adjective, as in a “just cause,” but the adverb, as in “at this moment” or “in the immediate past.” Okay, one or two usages, maybe, but I found this usage in a couple of sentences per paragraph. I don’t remember typing them; it was as if they “just” appeared. Of course, that’s not the case. The word popped into my head–quite a few times, apparently–and I wrote it. In most cases, there was no need to substitute a better word; deleting “just” made the sentence stronger. A few weeks ago, I had the same thing happen with the word “always.” Ack! Where are these crutch words coming from? I suspect because I do a lot of “pressure writing,” i.e., meeting deadlines and word count goals I’ve mostly set for myself, they filter in, and I let that happen because subconsciously I know they’ll come out in the wash, or edit. What surprises me, though, is how often they show up. And now I’ll bring this back around to the original topic. This is why having a group of writers who’ll critique you with honesty is important. They won’t let you get away with “just” and “always” or whatever crutch word creeps into your work. If you don’t have a group, find one or create one. Social media are great for this. Part of the joy of writer conferences is meeting and networking with many different types of writers from all over. Social media allow you to form critique groups without having to be face-to-face, and, even then, there’s FaceTime and Skype. Don’t fear the critique. Embrace it. And watch out for those crutch words.